Attorney. Business Law, Real Estate Law, Estate Planning, Personal Injury. Lansing, Michigan. Estate Planning, Charter School Law and Personal Injury. Serving the Michigan cities of Lansing, East Lansing, Charlotte, Grand Ledge, Jackson, St. Johns, Detroit, Kalamazoo, and surrounding areas. Founded in 1996, the Law Offices of Melvin S. McWilliams, P.C. is a professional legal services corporation with offices in Lansing, Michigan. We provide business related legal services for an array of clients across Michigan. Our major areas of practice include general business, labor and employment, individual bankruptcy, real estate, estate planning, personal injury matters, and the representation of public bodies, including charter schools. We measure our success by our ability to help our clients succeed. In other words, if we help you do well, then we are successful. Our primary objective is to help our clients achieve the best possible results. 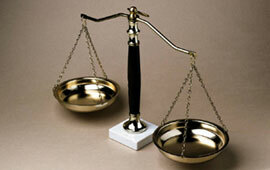 Our firm’s mission is the performance of high quality, timely legal services at a reasonable price. For us, our client relationships are our law firm's most valuable asset. Why Choose Melvin S. McWilliams, P.C.? Simply put, you want a firm that is attuned to your needs and is committed to providing quality legal services on a timely basis and at a reasonable price.